Shameless self promotion!!! If you haven’t checked out my shop recently – why not check it out now? :3 Just click on the pic! 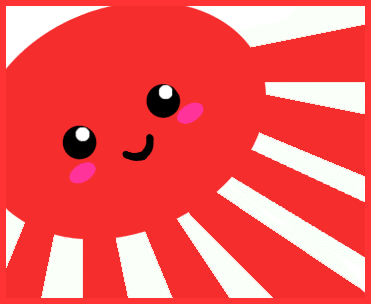 Illustrated Tako-san as a Japanese flag~! 😀 Chou kawaii!